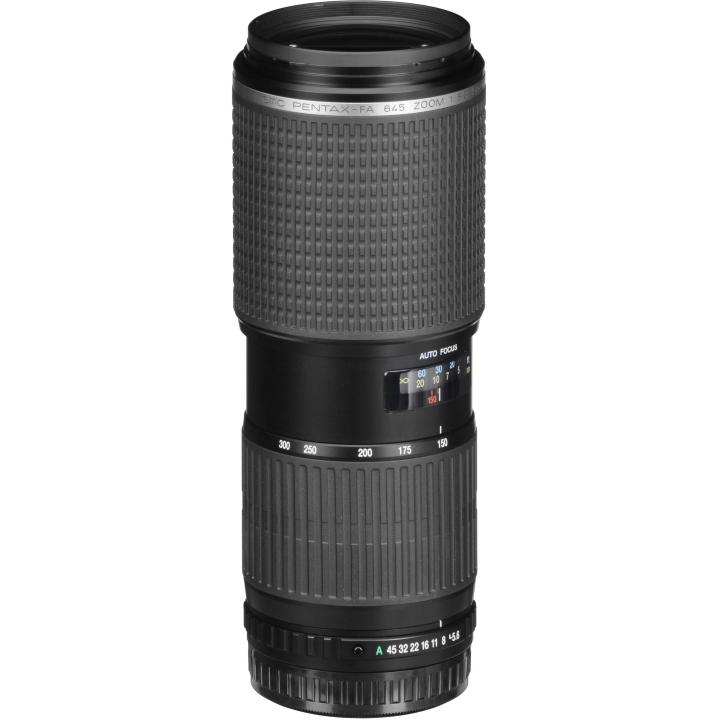 This zoom lens offers a wide coverage of the telephoto range with a f/5.6 to f/45 aperture and a 35mm equivalent focal length of 118.5mm to 236mm. Its compact design allows for easy portability when travelling. Extra-low dispersion glass elements add high contrast to images and lessen chromatic aberrations. The minimum shooting distance is 2m throughout the entire zoom range, and the maximum shooting magnification is 0.18X (at 300mm). It is equipped with an inner focusing system and inner zoom design which are used to minimize changes in the total length and weight balance when focusing and zooming to provide superior ease of operation. The AF/MF operation can be performed quickly by simply sliding the entire focus ring forward or backward, while the manual focus operation can easily be altered after AF to allow for fine focus adjustments. 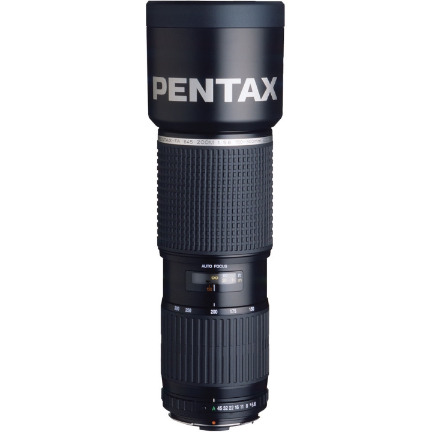 This telephoto lens, with a f/5.6 to f/45 aperture and a 35mm equivalent focal length of 118.5mm to 237mm, fits medium-format PENTAX 645 mount cameras. 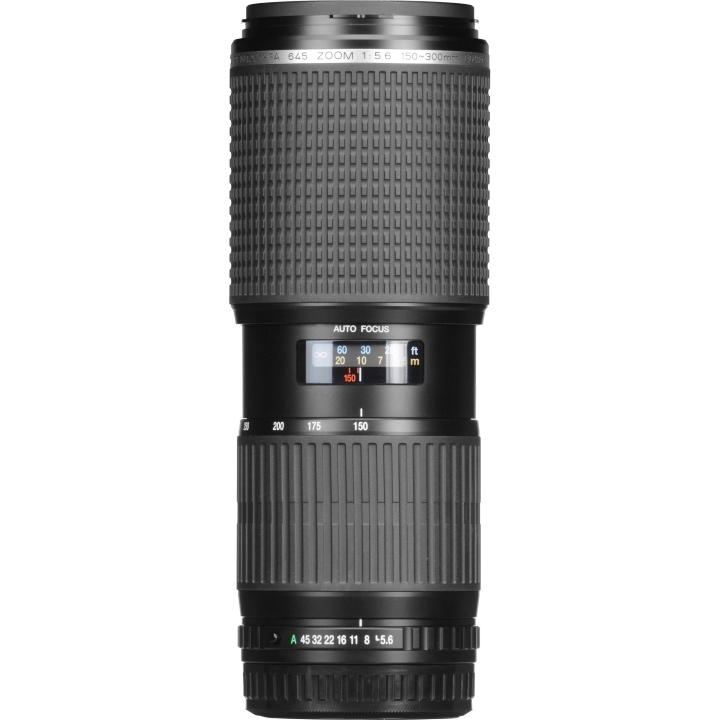 As you choose from a wide, versatile range of telephoto focal lengths, extra-low dispersion glass elements add high contrast to images and lessen chromatic aberrations. While the lens internally focuses, a slide ring moving back and forth lets you adjust from auto to manual focus. Each allows for a minimum focus distance of 6.6 feet and a filter thread size of 67mm. Super Protect coating reduces scratches and makes the system easier to clean. 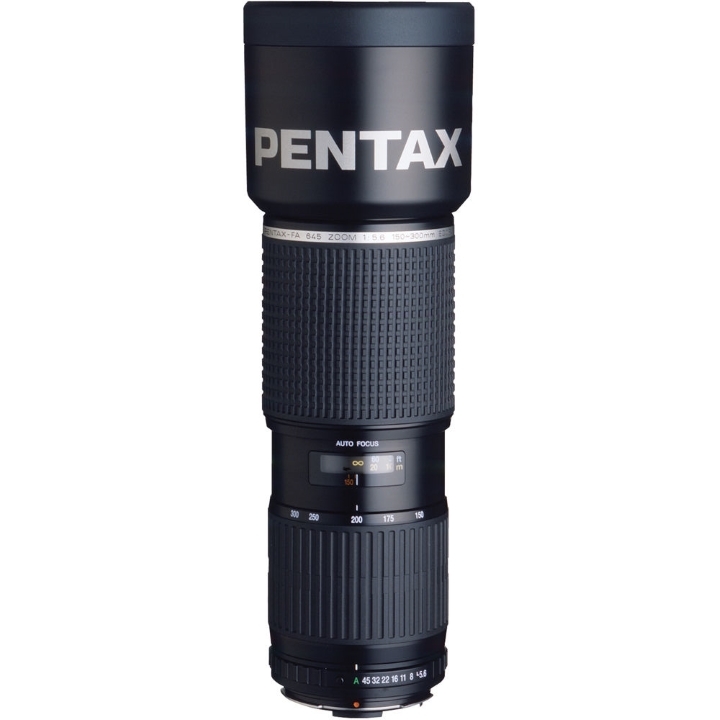 This lens has a construction of 15 elements in 13 groups that is designed for high quality images. It even has extra-low dispersion glass elements that minimize the effects of chromatic aberrations and provide high contrast images for maximum resolution. This is all protected by a Super Protect (SP) coating on the front element that lessens the possibility of scratches and makes it easier to clean. During operation, the lens internally focuses, keeping the large lens as compact as possible, and it switches from auto to manual focus by sliding the focus ring forward or backward. 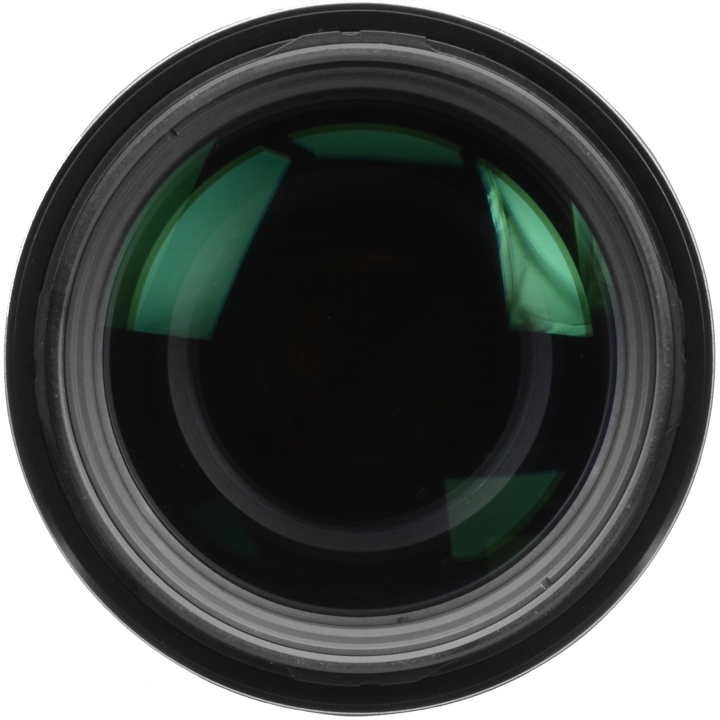 The lens also has a minimum focus distance of 6.6 and a filter thread size of 67mm.